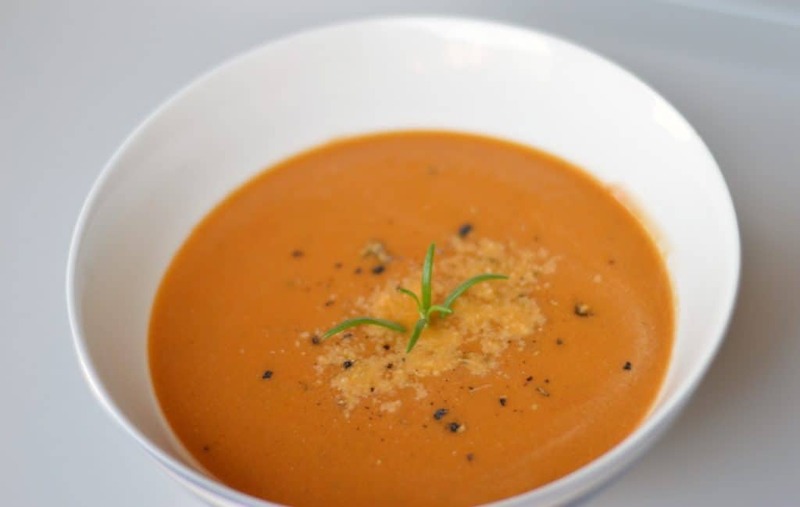 There is a simple elegance in good tomato soup, don’t you think? Maybe this is something you’ve never considered before (and given how busy our lives are, that would be entirely reasonable), but thinking about it whilst taking photos of this soup I realised how odd it is that such a simple food is so recognisable and almost universally adored. Adored? OK, perhaps not adored, but how many people do you know that don’t like tomato soup? It’s often a crutch – something we have when feeling a bit down or poorly – or one of the ‘basics’. How many of us have a can of tomato soup in cupboard ‘just in case’? Mine is in the cupboard above the fridge. Its simplicity, I think, is a huge part of its success. This recipe calls for a handful of ingredients: onions, garlic, vegetable stock, a little oil, cream, seasoning and, of course, the tomatoes themselves. That’s it. No fancy triple-cooked rarity, no spices from far flung lands, no overly complex and involved process. The process for making it is also simple. I’ve stretched it out a bit to make the most of the flavours, but really you could just chop all the ingredients and chuck them in a pot of boiling stock for 20-30 minutes. And yet, the end result is nothing short of magical. Maybe not in itself, but it’s a simple thing that can transform. It turns a day of poorliness (that’s a word, right?) into comfort, that rotten morning in the office bearable, the hanger brought on by a long-slog day dissipated. Am I over egging it? Possibly. 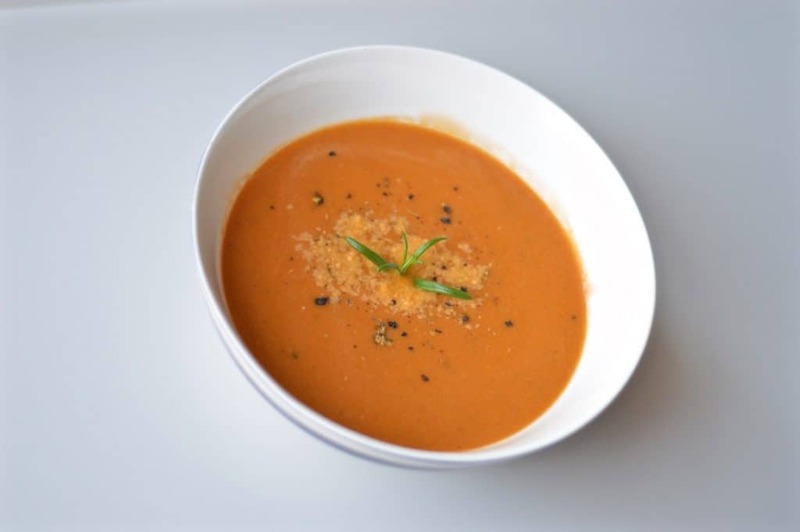 But I think tomato soup is a basic essential of the winter months, and hopefully you agree. So instead of stocking up on cans of the stuff, let’s use this simple recipe to make up a batch and pop the portions into the freezer ready for those times when we need it most. It’s going to be tastier and we know everything is just that little bit better when it’s homemade. 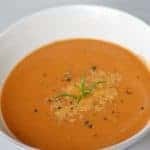 This recipe is intentionally pretty simple – there doesn’t need to be anything fancy about cream of tomato soup. Whilst this version is vegetarian, you can also make a delicious version by adding in pancetta or lardons. Start by putting your butter in a medium-sized pan (I use a 5 litre one, like this). Whilst it melts, dice your onions and crush the garlic. Add these when the butter is bubbling and mix to coat everything. Let the onions cook down until they are soft and translucent. Whilst the onions are cooking, chop your carrots in to small pieces, and do the same to the tomatoes. Add in the carrots to the pot and let it cook with the lid on for a few minutes to soften the carrots a little (if the pan feels too dry when the carrots are added, pour in some of the stock). Pop the tomatoes in to the pan and stir through. Then add the rosemary, stock and bay leaves to the pan. Bring the pan to a simmer, then leave to cook for 10 minutes. Add in your balsamic vinegar, turn the hob down a little further and then leave to cook for another 20-30 minutes, until everything is soft and cooked through. Take off the heat and remove the bay leaves and rosemary stalk. Add in about half of your cream, then use a hand blender to blitz the soup to a smooth consistency. 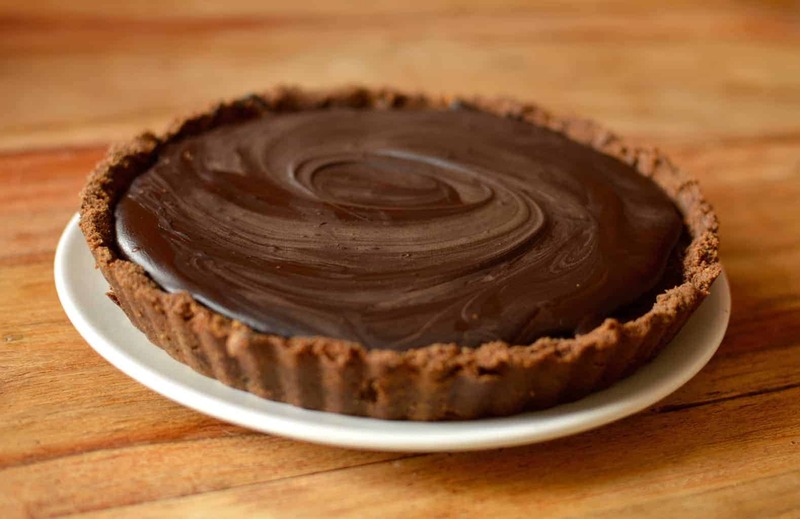 Swirl through the remaining cream on the top and serve immediately. As a Scot who has lived in Canada since 1965 I am so familiar with the tins in the cupboard for those blustery cold and rainy days! Thanks to you Craig, this recipe will be made this week and popped in the freezer. 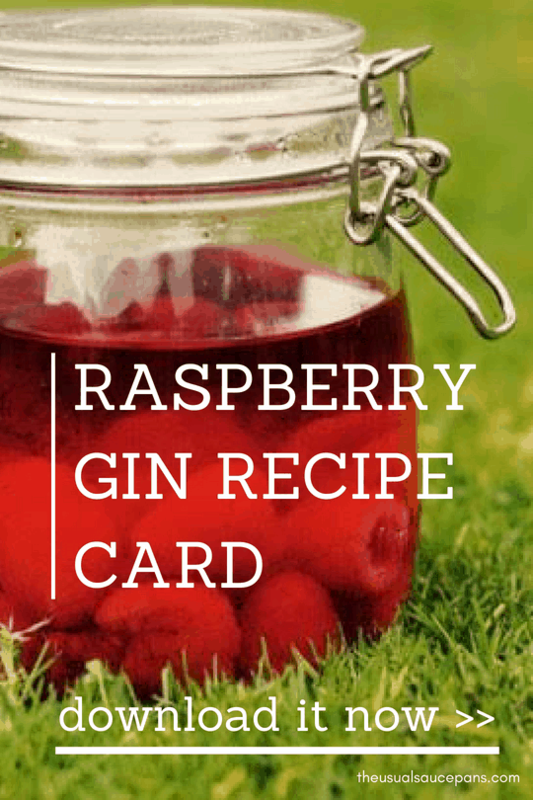 All previous recipes of yours have been excellent so am happy to add this one to my Pinterest files. A little sour cream added at the end is what I am going to do to enhance this recipe. It’s all about ‘back up soup’! Sour cream swirled through would be delicious. Follow along on Pinterest – most of the recipes are up there now, including this one. So much better when it’s homemade, right? Enjoy the soup!